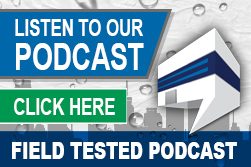 waterways, waterproof roof leaks in ponding areas, even seal skylight curbs, HVAC ducts, plenums and more. Repairs made using The SureCoat Roof System can be integrated into a fully warranted system, one piece at a time, as your customer’s budget allows for it. 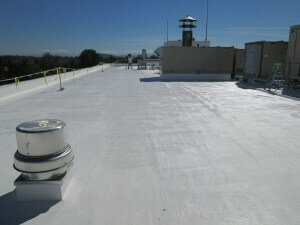 By using SureCoat’s liquid single ply for roof repairs, your customer’s maintenance and repair dollars are not wasted. The SureCoat Roof System used on repairs will bond into a full reconditioning system at a later time. This is the only “add on” liquid applied, Title 24 compliant system with a renewable warranty that covers ponding conditions on flat and low slope roofs. Since The SureCoat Roof System material does not get brittle, split, checker or crack like mastics the money spent on the roof are not wasted on short-term repairs while waiting for a roof budget to be approved. Rather, repair dollars are an investment toward a completely reconditioned and warranted roof system. Routine maintenance using The SureCoat Roof System for repairs helps to extend the life of a roof and can add several seasons to a roof that has even the most severe issues in these areas. This will allow time for a roof budget to be put in to place without having to respond to repeat service calls that only frustrate your customers and can potentially cause you to lose their business. 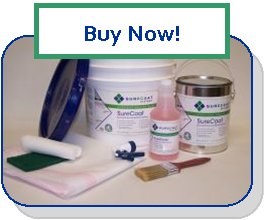 Make your repairs their solution with SureCoat!